WASHINGTON — North Korea's lead negotiator in nuclear diplomacy with the United States is expected to hold talks with Secretary of State Mike Pompeo on Friday during a visit aimed at clearing the way for a second U.S.-North Korea summit. 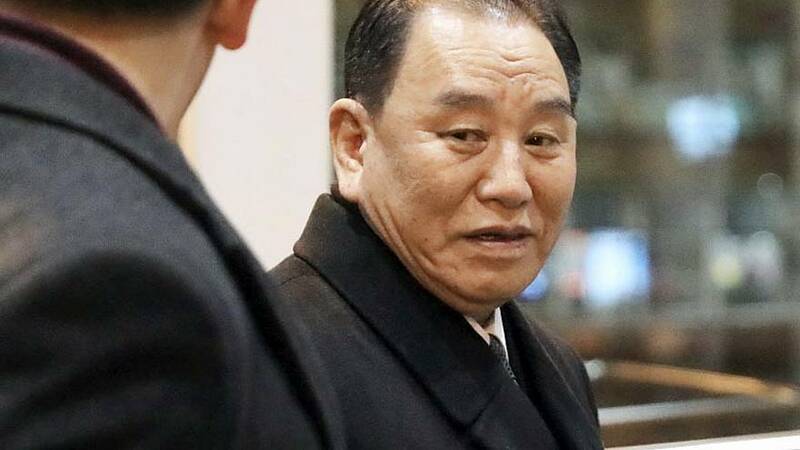 Kim Yong Chol arrived in Washington on Thursday evening for his first visit since he came in June ahead of a landmark meeting between Trump and North Korean leader Kim Jong Un in Singapore. Efforts made since then to get Pyongyang to denuclearize appear to have stalled. Hours before Kim Yong Chol's arrival, Trump — who declared the day after the June 12 Singapore summit that the nuclear threat posed by North Korea was over — unveiled a revamped U.S. missile defense strategy that singled out the country as an ongoing and "extraordinary threat." The Trump administration is demanding that North Korea abandon a nuclear weapons program that threatens the United States, while Pyongyang wants punishing sanctions lifted. Pompeo had planned to meet Kim Yong Chol, a hardline former spy chief, to discuss a second summit last November, but the meeting was postponed at the last moment. Kim Jong Un said in a New Year speech he was willing to meet Trump "at any time." That meeting yielded a vague pledge from the North Korean leader to work towards denuclearization of the Korean Peninsula, which led Trump to declare that there was "no longer a nuclear threat from North Korea." Communist-ruled Vietnam, which has good relations with both the U.S. and North Korea, has been widely touted as the most likely venue for a second Trump-Kim summit.